Baby Bonds are one step above preferred stock. Have a look. 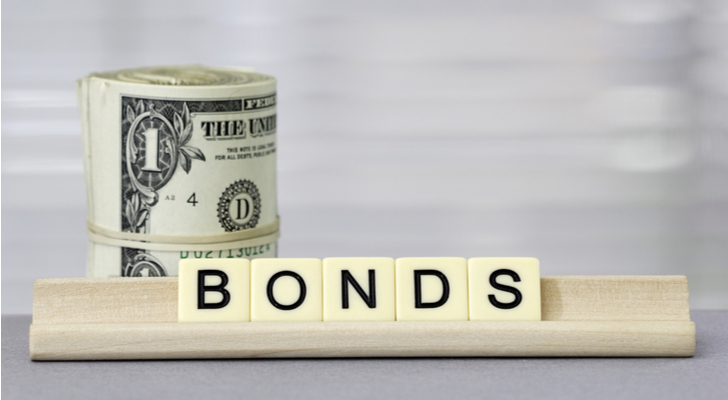 What exactly are “baby bonds” and why do they pay such high yields? How safe are they? Where do they fall in the capital stack when it comes to possibly bankruptcy. Baby bonds, or exchange-traded debt, are similar to preferred stock in that each behaves both like a stock and a bond. Baby bonds trade like stocks on the major exchanges, however there is a narrow range of prices they trade in. It is easier to trade baby bonds because, unlike regular bonds that often trade in minimum baskets of $10,000, you can buy or sell any amount. Like many bonds, they push out distributions on a quarterly basis. However, the money gets taxed as ordinary income, not as dividends. They are just below senior or subordinate debt issues by a company, but above of preferred stock. Thus they are theoretically more secure than preferred stock so they yield just a little bit less. Like bonds and preferred stock, they have call dates, which can be from 10 to 30 years. Most get issued at $25 per share. Here are three issues worth looking at for your portfolio. The Liberty Portfolio, my stock and options advisory newsletter, holds one baby bond is likely to add another in the next month. Stanley Black & Decker 5.75% Jr. Subordinated Debentures (NYSE:SWJ) are baby bonds issued by that most famous of consumer brands, Stanley Black & Decker, Inc. (NTSE:SWK). Although revenues have been flat at SWK for some time, judicious execution has resulted in a stable bottom line, and very stable free cash flow. Indeed, SWK has a dividend yield of only 1.43% which is but 33% of total free cash flow. Thus, why not earn 5.75% of these baby bonds? SWK has plenty of free cash to pay these bonds, and are rated at “BBB+”. That is, S&P considers the company to “have more than adequate capacity to meet obligations, although they are somewhat subject to economic conditions”. Meanwhile, SWK stock has $1.13 billion in cash, with very manageable debt of $3.8 billion. Despite being junior subordinated notes, SWJ feels strong to me. Entergy Louisiana 5.25% First Mortgage Bonds (NYSE:ELB) are issued by a public utility (electricity) that is based in Louisiana. You’ll note that these bonds are secured by first mortgages, which is an exceptional position to be in. That means the company’s real estate is the security behind these baby bonds. Where else can you find a 5.25% yield on first mortgage liens? 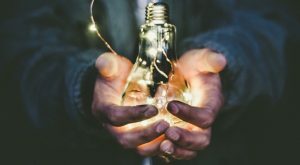 Entergy Corporation (NYSE:ETR) itself pays a nice 4.6% dividend, but why take the risk of owning the common stock when you can earn higher yields with the safer baby bonds? Entergy has $8.2 billion in cash and long-term investments to shore up its finances. Now, the current price of the baby bonds is $24.92, reflecting a tiny discount to par. That may be because revenues have fallen in the past couple of years. Legg Mason Inc. 6.375% Jr. Sub. Notes Due 2056 (NYSE:LMHA) are bonds courtesy of the solid and reputable investment firm of Legg Mason, Inc. (NYSE:LM). As you are no doubt aware, Legg Mason has a long history of handling investments for sovereign wealth funds, private banks, family offices, pension funds, endowments, foundations, and insurance companies. The underlying company itself is not a barn-burner, as it only makes about $250 million annually. However, it has very consistent free cash flow because it has very little overhead – generally pumping out about a half billion dollars per year. Now, LMHA trades at almost 6% over par, at $26.40, and thus yield 6.04%. If you prefer, you can grab the Legg Mason 5.25% Subordinated Notes Due 2056 (NYSE:LMHB), which are higher in the capital stack, but trade at $24.80, resulting in a yield of 5.45%. Article printed from InvestorPlace Media, https://investorplace.com/2018/01/3-baby-bonds-paying-5-swj-elb-lmha/.